Лучшие гиды по Узбекистану. Гид по Узбекистану Шавкат Юсупов. "Asalam aleikum"! Hello! 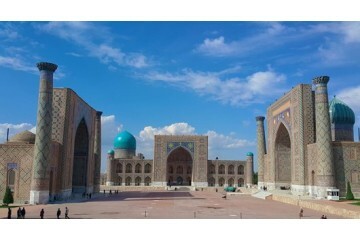 My name is Shavkat, and I will be happy to organize a tour around Uzbekistan. I or my colleagues guides will be happy to meet you and accompany you in Uzbekistan! I was born and live in Bukhara. It is here that my "peace, tranquility, spirituality"
Do you know where the real modern Mecca for tourists is situated? 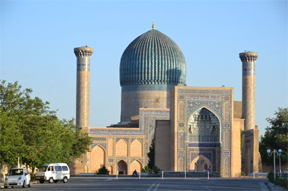 Uzbekistan is a country with a rich cultural and historical heritage, a beautiful climate and a high level of comfort. However, for fans of extreme travel, there is also a lot of interesting. Every year millions of tourists come here to enjoy all the delights of the East in full. And they always remain enthusiastic about the impressions they received! The main thing is to find a cool guide! An individual guide is not just a person accompanying you on a journey, telling interesting stories. He becomes your friend and assistant, able to solve any problem with lightning speed. 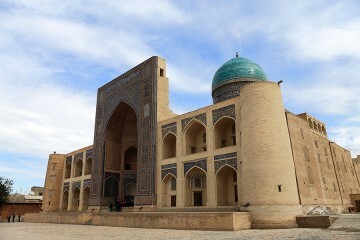 Many people look for guides in Uzbekistan. And my web-site is ready to help you in finding and choosing a guide, compiling an individual tour. 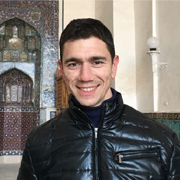 Where is the best guide in Uzbekistan? It is important to entrust your journey to reliable hands. To make a guide fully met your expectations and turn the trip into an exclusive trip, filled with vivid emotions and impressions - contact me. Firstly, I myself, Shavkat Yusupov - a guide, I know all the subtleties of this craft. And also I have many friends, fellow tour guides, time-tested, with whom I have been cooperating for a long time. Therefore, I will help to choose the best guide, personal guide, considering the slightest nuances of the tourist business, your individual preferences and characteristics. I perfectly understand that many things depend on guide, such as will you like the journey or not. Therefore, I responsibly approach every moment in the tours! Добрый день, дорогие путешественники и те, кто только собирается в путешествие. Очень хотелось поделиться впечатлениями о поездке в Узбекист..
Наконец-то решили написать отзыв о нашем замечательном гиде Шавкате! В Бухаре были в мае 2017 года. Очень рады, что нашим гидом был именно Ш..
Bukhara - a tour of the city of the great sage Nasreddin(Sightseeing tour with a guide)City: BukharaDuration: 6-7 hoursPrice: from 40 $ * the price is valid fro..
Samarkand (2 days) - Magic Samarkand(Sightseeing tour with a guide)City: SamarkandDuration: 2 daysPrice: from 180 $ * the price is valid from 1 to 4 peopleTour ..